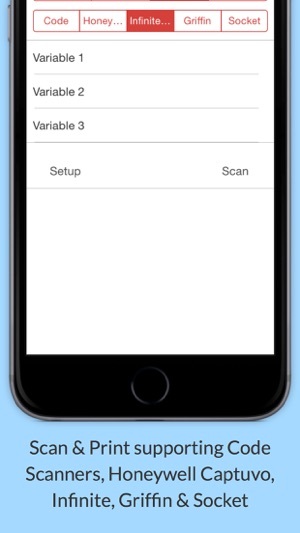 MobiPrint & Scan gives its users the capability to print (bluetooth or wifi) PDF's, Images or Cloud based label formats to Zebra mobile, desktop, and industrial printers on iOS devices. It allows for scanning from the major scanner manufactures,both blueototh and sled devices. You can print labels or receipts and even barcodes! 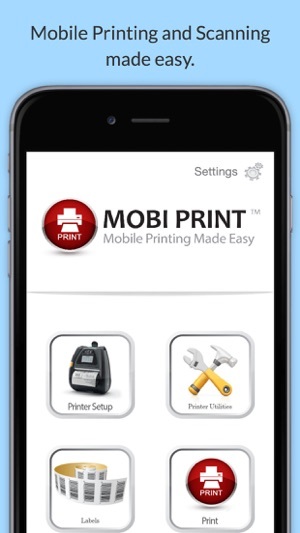 The power of Mobi Print is the seamless integration into your app for mobile print capabilities. 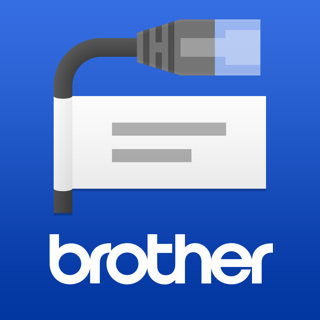 ***THIS APP IS ONLY COMPATIBLE WITH ZEBRA CPCL OR ZPL PRINTERS ONLY*** --->For compatibility with Citizen, Intermec, Star, TSC, Datamax, Honeywell, Bixilon please use our Mobi Print Pro version.. 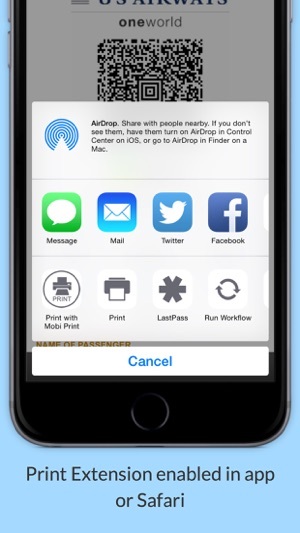 This app takes printing to a whole new level of ease by using the native iOS functions to print PDF's, Images, or webpages or direct ZPL/CPCL raw code. 1 Click Print - Easy streamline your process by one click printing and staying in your app or website. PDF Printing - Open PDF's from Mail, Safari, filemaker or another application to print with functionality to print and return to source app. Native Language Printing - Is print time critical? Work with our development team at no extra charge and print directly to the printer in native print language for instant print. User Friendly – With tools like Auto-Detect & Auto-Print - easily print and stay within your app with no extra work. Want to print a PDF? ..Use our new is Extension! No development required. Want to print a webpage?... , using google chrome mobile browser you can save the webpage as PDF and open in Mobi Print. Want to print an image? ..No Problem, Mobi Print handles .PNG, JPG and .BMP images. Want to print from google docs? .. by using the Google Drive app you can open any document and "open in" Mobi Print for printing. What about just a simple label? ..Mobi works for the small user as well. Design your own label in Zebra Designer or choose from hundreds of stock formats (price tags, inventory tags, asset tags..etc) and dynamically print to that format manually. You can even store it in dropbox. What about scanning? ..Mobi has partnered with the leading iOS peripheral devices - Honeywell & Infinite peripherals to offer MSR scanning and 1D/2D scanning supported in Mobi Print. This allows you to easily scan and reprint labels, or store scans for later use. 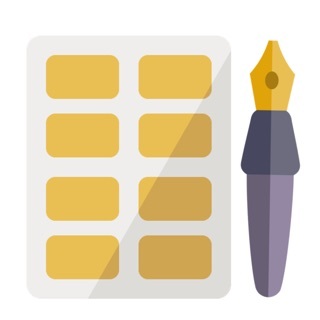 In addition, Mobi Print serves an excellent utility for managing Zebra printers, with tools such as firmware updates, speed adjustments, battery notifications, printhead darkness and more. Have a custom enterprise solution? Inquire about our API from support site. Need customization or are a developer/manufacturer wanting Mobi Print to work with your app or device? 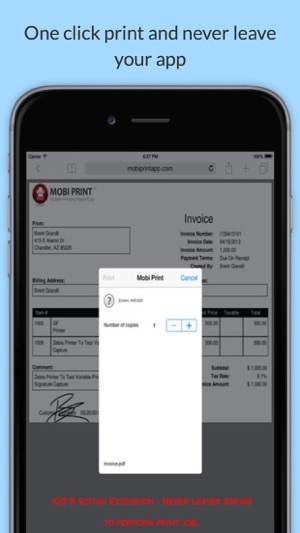 We are here to help, Mobi print has an API that can be integrated into existing frameworks or your iOS app for complete control in your environment, or to add your printers functionality with Mobi. I work for a small library and we were trying to set up receipt printing from our iPads to a Zebra iMZ320 for our bookmobile. With the app and help from support, we were able to have it up and printing quickly. I really can't say enough about how prompt and helpful Brent was in offering support for us. Worthless waste of my money! I am so frustrated! I have a $300 iMZ320 printer that I need to work for my mobile house calls. I have spend hours trying to get the app working/printer setup and working. I have on several occasions got it to work but then when I'm in the field, find the app has been changed and says I need to purchase prints. I PAID $20 for this. That went away and now it just advances the paper and prints nothing. Everytime I get it working, the app is changed and quits working before I can actually use it. I am so frustrated by this.